Welcome to Day #6 of Chocolate and Fruit Theme Week. 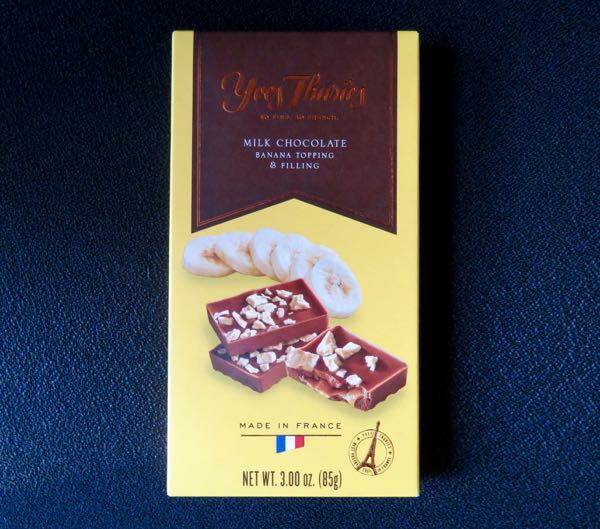 Today's Yves Thuries Milk Chocolate with Banana Topping and Filling made in France and distributed by SALPA Inc. (Greenwich, CT). 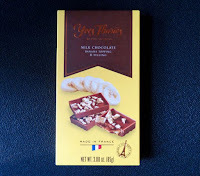 Yves Thuries chocolates are made with cacao grown on the company's plantation in Ecuador. Sweet, smooth milk chocolate enveloped a sweetened banana puree filling; and the bar was topped with a tiny riot of banana pieces. 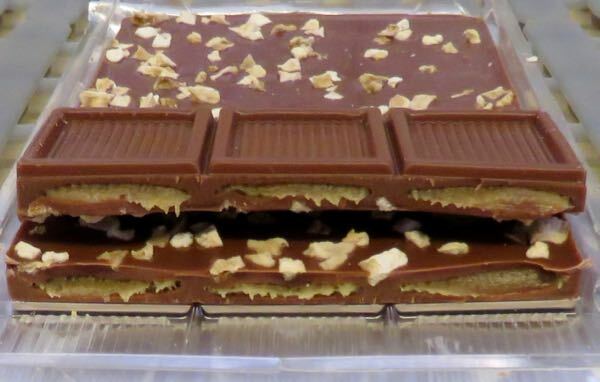 This bar was more higher-end confection than chocolate bar, but will appeal to those who enjoy fruit and milk chocolate. 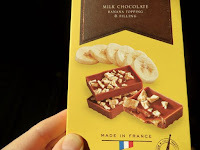 Banana can be a tricky flavor to reproduce; the company did a reasonably good job of delivering subtle, authentic banana flavor (via a blend of freeze dried banana, banana puree, banana flavor) with a hint of sweet vanilla.